Scientific and academic mentors have a crucial part to play in the SBC experience. Armed with the proper guidance and expertise, previous participants have been capable of the most extraordinary, top-level research projects, with many seeing great success – and even opportunities for commercialization. Here are a few of the mentors that have taken part in years past. Dr. Crawley mentored Aditya Mohan with his project “Development Of A Novel Oncolytic Virus For Cancer Treatment And Diagnosis.” Aditya took the top prize in both the Eastern Ontario regional competition as well as the National competition in 2015. Dr. Crawley has shared her mentoring experiences with us. 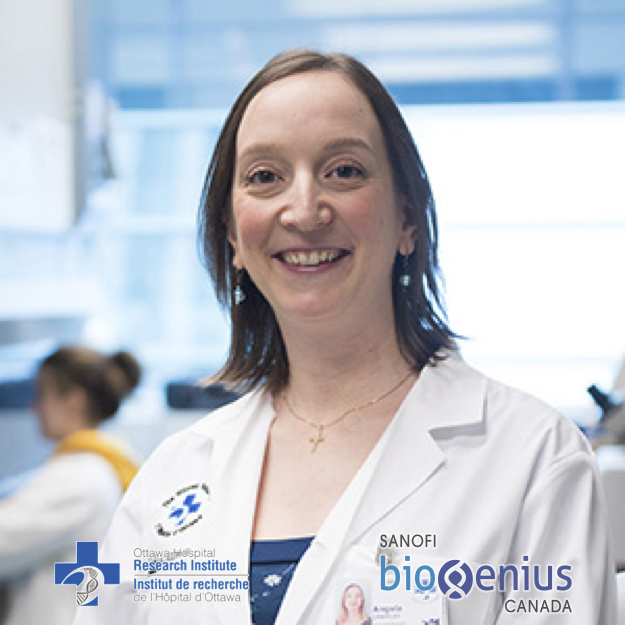 How did you become a Mentor in Sanofi Biogenius Canada? In 2006, I was approached by a high school student interested in joining my lab to do a research project for this competition, and for local science fairs. I immediately recognized his unique creative intelligence and refreshing scientific curiosity, and therefore agreed to be his mentor. This student was highly successful and went on to win local science fairs, placed highly in the Canada-Wide science fair, won the National Sanofi competition and was invited to participate in the international Sanofi science fair. In 2013, I was approached by another exceptional high school student, who volunteered in my lab for 2 years and was equally successful in the regional, national and international science fair scene. 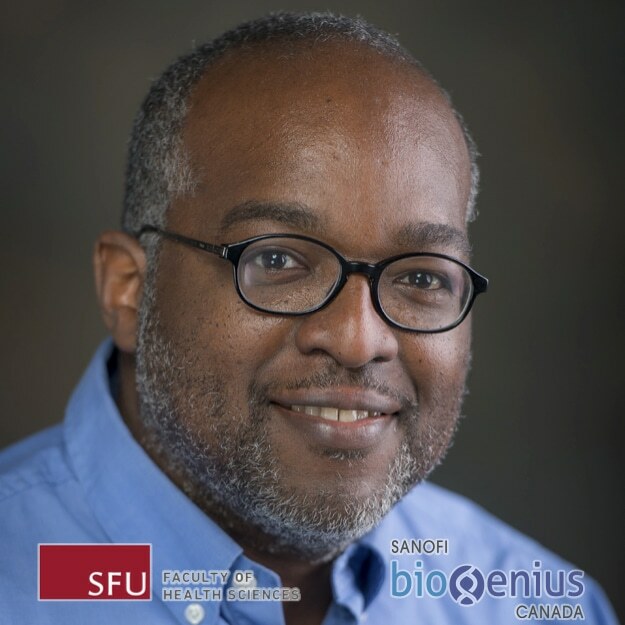 Would you encourage fellow collogues to participate as a Mentor in Sanofi Biogenius Canada? If so, why? I would definitely encourage my colleagues to be Sanofi Biogenius mentors! This is a great way to connect with young minds, and to have a role in nurturing their scientific curiosity. It is not a huge time commitment, and would not have to be done every year. Secondly, it is a good mentoring opportunity for our trainees, who often take on much of the bench work with the Sanofi students. What has been your most rewarding experience as a Mentor for Sanofi Biogenius Canada? I am very satisfied with the ongoing process when the student meets with me for our weekly updates and has a huge smile on their face, or when they light up in the face of new experiments or positive data! This is how I now they are really enjoying what they are doing in the lab, and that can be very gratifying as a mentor. What is your advice to a student interested in participating in Sanofi Biogenius Canada? Students may have to approach a number of scientists before someone responds to their inquiry. This can be at times a bit frustrating, but perseverance will yield results. What inspired you toward a career in science? I have always enjoyed the study of science throughout my school years, and my undergraduate degree at McGill University provided me with a strong base in the biological sciences. I absolutely loved graduate school at the University of Guelph, and experienced many research accomplishments and recognitions. After making a slight shift in research topics to enter human health research, I was very motivated by challenges patients faced in the clinic in response to treatments. I know that I can address some of these challenges with my research, and that encouraged me along the path to becoming an independent scientist with my own research lab. Dr. Crawley is an Assistant Professor at the University of Ottawa in the Department of Biochemistry, Microbiology and Immunology and Scientist, The Ottawa Hospital Research Institute. Dr. Belmonte mentored Dennis Drewnik with his project “Identification of Essential Plant Defense Response Genes in the Arabidopsis thaliana– Sclerotinia sclerotiorum Pathosystem.” Dennis took the top prize at the Manitoba Regional Sanofi Biogenius Canada competition in 2015, and continued on to win fourth place at the SBC National competition in Ottawa. Dr. Belmonte has shared his mentoring experiences with us. I’ve taught thousands of biology students at the University of Manitoba and one day a student approached me in my Cell Biology class and started talking about how her younger brother was interested in biology and computers – two of my favourite things! I invited Dennis (then grade 8) to my lab and we started talking about how we can use computers to help develop experiments that will help solve the World’s food shortages. He hit the ground running and hasn’t stopped since. Dennis is currently a grade 12 student at Sisler High in Winnipeg and has made huge discoveries in the lab! Definitely! It’s important for teachers, instructors and professors to give back to the community – especially the next generation of young aspiring scientists. Regardless of their success at competitions – if students are trained the right way and show a genuine interest in research and in making a difference the reward is unbelievable! Seeing Dennis grow as a scientist and as a human being! I’ve mentored Dennis for almost four years with the help of other grad students in the lab. Dennis has made huge discoveries on his own and his drive and passion for science has propelled him to where he is today. I’ve also had the opportunity to help represent Manitoba with Dennis at the Sanofi Biogenius Canada completion in Ottawa. Being surround by such incredible and bright minds opened my eyes to what young scientists can achieve. The future is bright and Sanofi Canada is playing a big role in the way we approach science and I’m grateful for being a part of it! Go for it and don’t be afraid to talk with researchers and professors! Do some research first and find your passion in science whether it’s agriculture, life sciences, medicine, engineering and everything in between! Try and find like-minded professor and possible mentors at your local university of college. Establish a dialogue with them and show them how much you care and what a difference you can make to the general scientific community and beyond! Ask yourself what kind of contribution you want to make and how you can help others whether it’s feeding the world and providing better access to nutritious food or finding a cure for cancer. I’ve been naturally curious my entire life. I love nature and trying to understand how things work at the cellular level. Most importantly – I’ve had great mentors from grade school all the way through to University that have helped guide and navigate the waters of science. They pushed me to make a real difference in life gave me the opportunity to make important discoveries and drive innovation. 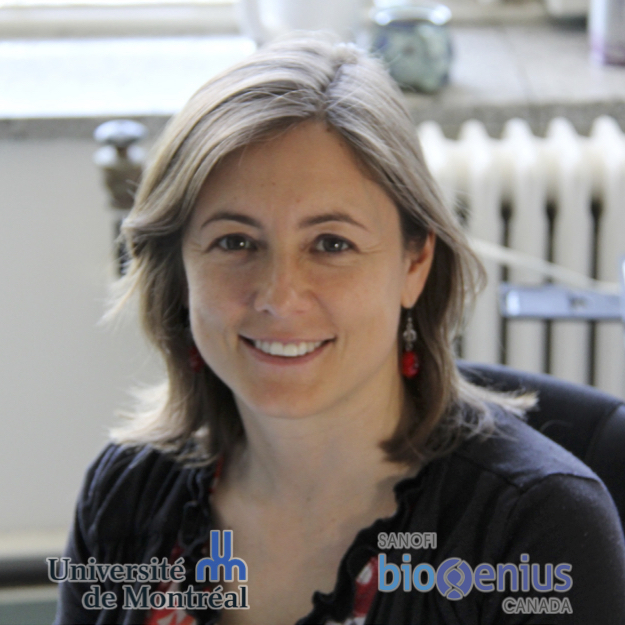 Dr. Belmonte is an Associate Professor in the Department of Biological Sciences at the University of Manitoba. 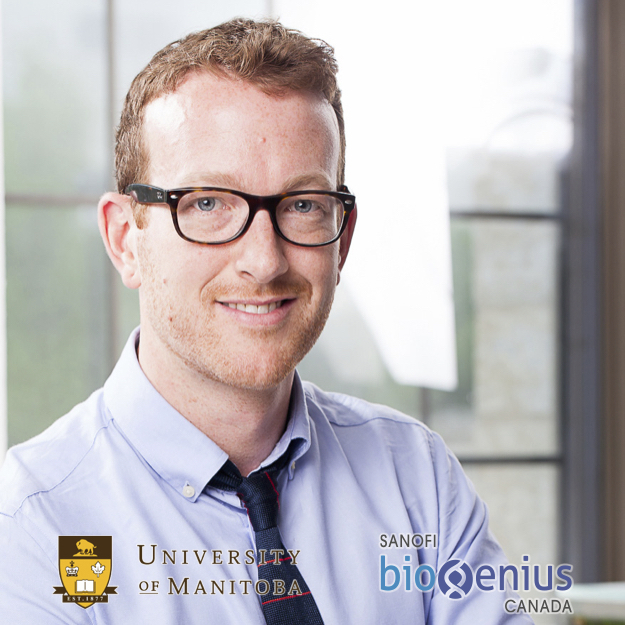 He was chosen as one of the CBC’s Future 40 for his work and for placing Manitoba on the world stage of agricultural research. The Belmonte Lab studies the cellular and molecular functions of plant development and plant pathogenesis. The Belmonte Lab strives to find new, innovative and sustainable genomics technologies to improve and protect some of Canada’s most important crops! Dr. Girouard mentored Justin Lessard-Wajcer with his project “X: Welcome to the future of CLARITY.” Justin took the top prize at the 2015 Quebec Regional SBC competition and continued on to win the Commercialization & Professionalism Awards as well as fifth place at the national competition. Dr. Girouard has shared her mentoring experiences with us. Yes, because it gives an opportunity to give an insight on the scientific life and science. On one hand, this will help the student to guide his career. On the other hand, this will have an impact on the quality of students who will choose to pursue in research because they will know what they want and will probably be more motivated. It could also give the opportunity for a graduate student to supervise a student and share his knowledge. The most rewarding experience is to see born a passion for science and research and to discover the excitation of the discovery. Also, it is to see the young fellow to become more self-confident. My first advice is to be as involved as possible to optimize their experience in research. The second one is be conscious that it is teamwork. The third one is to not underestimate their potential contribution while respecting the experience of their supervisor. The last one is to be conscious that most experiments do not work or do not necessarily give the expected results, so their mind has to be wide open. I wanted to become a researcher since the age of 10. It came after I read the biography of the physicist, Marie Curie. I did not know any body that was doing research but I recognized myself in terms of personality and thirst for knowledge. I knew this would be my life. Dr. Girouard is an Associate Professor in the Department of Pharmacology at the University of Montreal, Faculty of Medicine. Dr. Pantophlet mentored Iveta Demirova with her project “Exploring the Development of Antibody-Scaffolded Membrane-Fusion Inhibitors for HIV-1 Therapy.” Iveta won both the 2016 BC regional competition as well as the SBC National competition. Working in a lab at Simon Fraser University with her mentor Dr. Ralph Pantophlet, Iveta was able to discover a new therapy to help individuals living with HIV. Her research has the potential to help HIV-positive individuals that have become resistant to current treatment options. Dr. Pantophlet has shared his mentoring experiences with us. Probably at high school age. My inquisitiveness grew as I read in various encyclopedia about scientific discoveries and became aware of scientific magazines, such as Scientific American. What inspired you to focus your research in this field? I am originally from Aruba. As I was deciding on secondary education options in The Netherlands, I became interested in biotech (an emerging field at the time) and microbes. During my studies in The Netherlands, my interest in microbes and infectious diseases grew more. For my Honors and doctoral work, I studied a particular group of hospital-acquired microbes; the goal was to utilize antibodies to better detect and differentiate them. This led to an interest in antibodies and antibody engineering, which led to postdoctoral work at The Scripps Research Institute in La Jolla involving the characterization of antibodies to HIV and vaccine design. Vaccine immunology and vaccine design are the focus of my lab’s research at SFU. Where do you see the future of biotechnology in Canada in 10 years? I believe there will be more growth of multidisciplinary teams focused on tackling public health problems that cannot be solved by uni-disciplinary approaches. This is already starting to happen through funding agencies. I hope to see more public and philanthropic funding support for various initiatives. What was your most rewarding experience while participating in SBC? The SBC was great because it provides a venue for prospective mentors to interact intensely with a highly inquisitive student and explore potential projects that might otherwise not be possible. Would you encourage your colleagues to participate as a Mentor in future SBC competitions? I would encourage those colleagues whom I think are considering being a mentor for an SBC candidate but who are unsure about the experience. Alas, funding is always an issue and so the ‘fit’ needs to happen at the right time. What advice would you give to students interested in biotechnology and/or participating in SBC? The SBC takes hard work and dedication. Also an inquisitive mind that is not easily deterred by set-backs. Biotech, in all its facets, is an area that is likely to continue to grow in the coming years and students should become knowledgeable of new technologies. Immunotherapy, for example, is an area that is likely to see enormous growth – as also exemplified by major funding initiatives in this area recently. Dr. Pantophlet is an Associate Professor in the Faculty of Health Sciences and an Associate Faculty member of the Department of Molecular Biology and Biochemistry. Research work in Dr. Pantophlet’s laboratory is focused on investigating antibody responses to HIV and other viruses of biomedical interest, particularly in the context of host-virus interactions and anti-viral antibody responses.